please be on time, no exception !!! All teams must pre-register by mail to supervisor@wkfworld.com . In order to pre-register, country representatives must report complete country registration team list for FORMS and FIGHTING . Officials must register as well ! 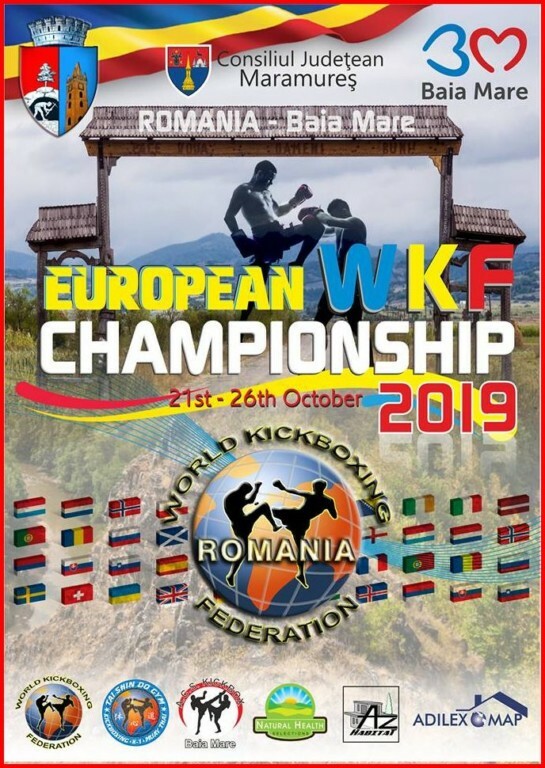 WKF is hosting the European congress on Tuesday, October 22nd, 2019 at 2 pm. Please come proper dressed in dark Blazer and tie, per country just two people only. Only full member countries have the right to vote and to be elected. All European country WKF presidents are expected to the congress and invited afterwards for dinner. two participants in every weight category/discipline per country, everybody must show passport / ID and compulsory official WKF fighter license book. Participants without medical examination or older than 12 month will have compulsory to undergo an examination and will be charged standard fee 35 €uro (except forms). Competitors under the age of 18 Years must proof parental permission to participate! Every registered WKF president get on request the Hotel offers with equipment and reasonable prices. If you would need airport transfer for your team to Hotel, or if you want daily ground transportation for minimum 8 people Hotel to venue round-trip, ask for rates ! Last day of booking and money transfer is October 4th, 2019. When the payment has arrived on the promoters account, your reservation will be confirmed. ATTENTION – Please be fair ! we close at 5pm PUNCTUALLY !!! All WKF referees who wants to be in duty must attend the short seminar on Tuesday 9am ! If you not have attended the last World Referee Seminars in Italy 2016, Greece 2017 or Buenos Aires 2018 you must attend next World referee Seminar in Hotel MARA. Seminar start on Friday, October 18th, 2019 at 5pm. Final registration is possible at 4pm before the seminar. This is the weekend before the European Championship. It’s only possible to enter one weight division in each category! Follow the exactly time limit, read carefully the rules for forms to avoid any misunderstandings !